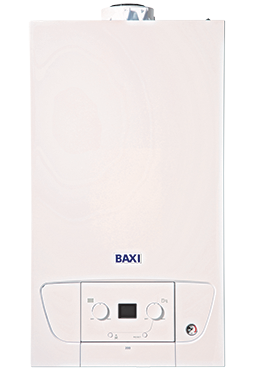 The Baxi 200 features the latest boiler technology, built into a compact and lightweight design. This range is powerful enough to meet the heating and hot water demands of most homes, but small enough to be installed into a standard kitchen cupboard, thanks to its two output options of 24 and 28kW. The Baxi 200 is protected by a three year parts and labour warranty for peace of mind. This boiler can be paired with a range of heating and hot water accessories to improve the overall efficiency and performance of a heating system. This includes the Baxi room thermostat, digital 7 day programmable room thermostat, Baxi Plug-in 24hr digital timer, and Baxi stand off kit. This means it can save even more energy and shave more off of household bills. In the same range you will find the Baxi 400 combi boiler. This model is also available in 24 and 28kw output options and includes all of the benefits of the Baxi 200 but also has a rigid filling loop, optional stand off frame, and a 5 year warranty as standard. The Baxi 400 Combi has even been shortlisted for Domestic Heating Product of the Year at the Heating and Ventilation News Awards 2017. Baxi have been manufacturing in the UK since 1866 and their range of high efficiency boilers are straightforward to install, maintain and service. The Baxi 200 has a lift weight of just 26kg, making it easy to transport and install in a customer’s home. Interested in learning more about the Baxi 200 Combi?